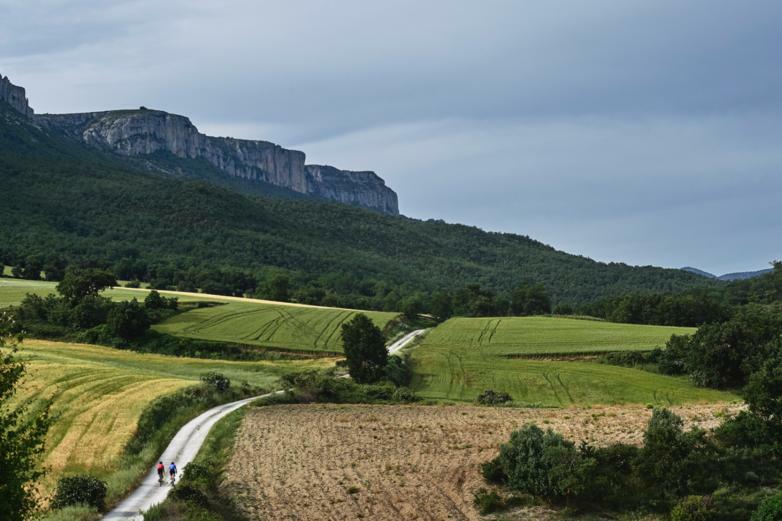 Is this Spain's best cycling region? Bespoke Travel has proven a really pleasing success so far. We have all had a blast and its reaffirmed my love for being out on the bike on epic roads. 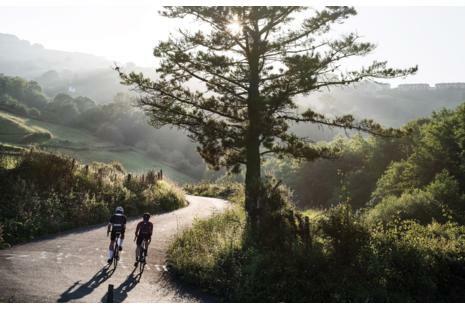 San Sebastian and the Basque region meet those criteria; epic riding, more Michelin star restaurants per head than anywhere in the world and a local partner in Basque Cycling Travel that we know from our Orbea relationship. Its very easy to get to San Sebastian as BA fly into Bilbao from Heathrow; 70 min drive to San Sebastian. Biarittz is half the distance but only Ryanair fly there. 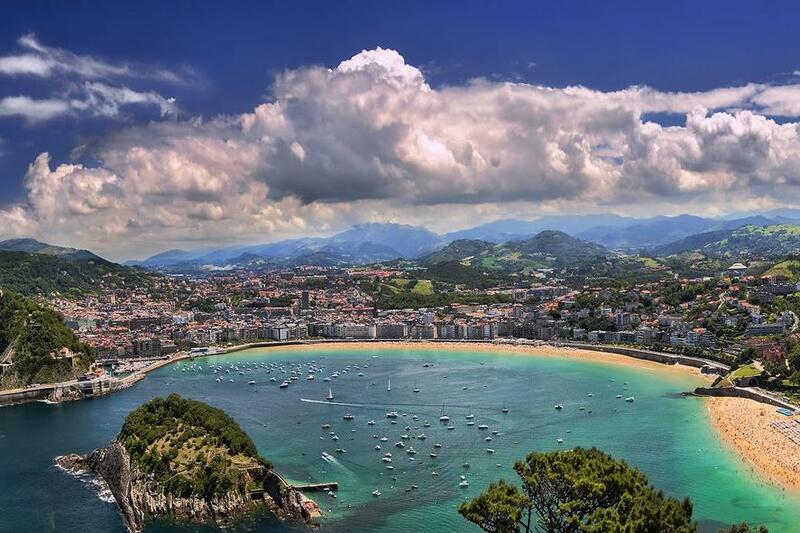 San Sebastian is a wealthy town with the regal charm of old money. Even in the Spanish downturn it suffered much less than rest of Spain. This is reflected in property prices; the main beach area (La Concha) is the most expensive area in Spain; more than Barcelona and Madrid. It's also home to one of the world's major film festivals and was a European Capital of Culture in 2016. I had visited San Sebastian briefly when I came to see Orbea; but only scratched the surface and I was determined to come back and do some proper riding here to recce a future Bespoke Travel trip. My guide was Antton a Finn who has lived in Spain for almost 10 yrs, the last 5 being in San Sebastian. He is a proper cyclist and told me he averages 20,000km a year - and with this as your backdoor you can see how…..
Antton does a bit of guiding but his main job is as a Pro Photographer and counts some serious 'A list' cycling companies as clients. But being an avid cyclist himself he knows what makes a good shot. All the photos here were shot by Antton. Good aren't they ! When I met him he certainly looked the part; skinny, tanned and with the defined legs that only come from thousands of hours in the saddle. He was riding a beautiful titanium bike resplendent with SRAM Red eTap a powermeter and Enve carbon tubular wheels. "What route do you want to do? 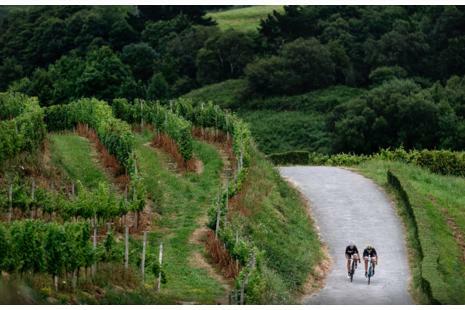 Hilly or very hilly?" 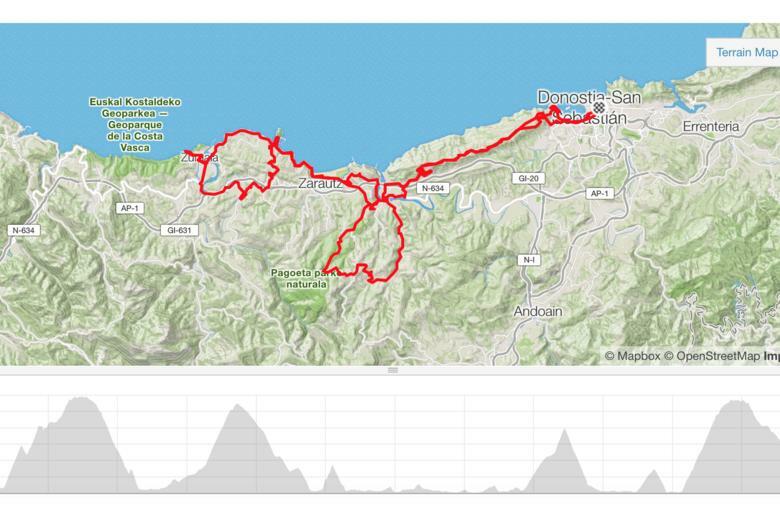 We did two days riding; one was a classic Vuelta stage and the other a coast route. Both stunning and very different. The variety of the roads and scenery is astonishing. This is not a place to boast about how many kms you have done in a week. 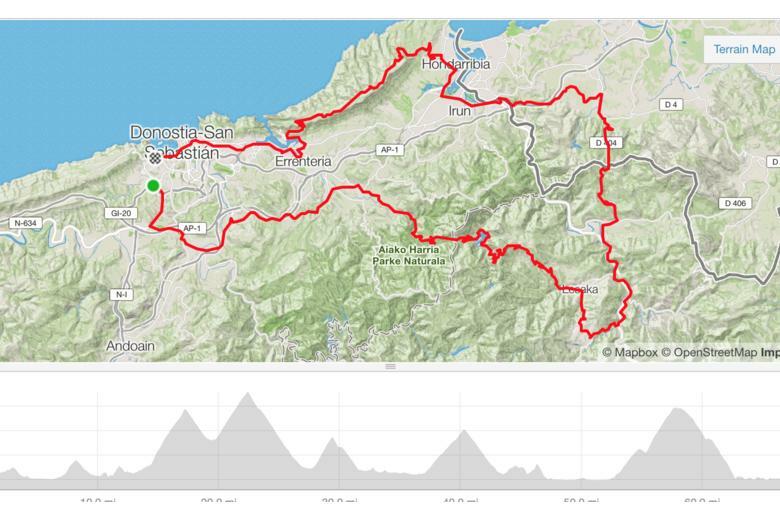 Nor to tick off a single big climb in a day and then be done. The climbs here are smaller (c 300-500m vertical gain) but they are relentless. 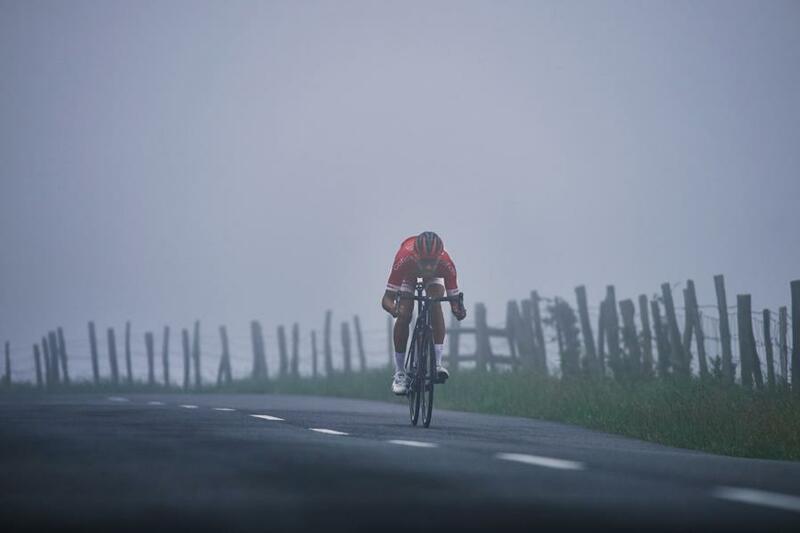 Even on a flat day you will climb 1000m in 100km; that's simply unavoidable. Its a real issue for the many Pros who live here - what do you do when your coach asks you to do an easy day of active recovery ! We started east taking us east through the city and within 15 mins we were into the Aiako Harria National Park. This is a gorgeous area; dense forest and rolling hills as you climb. You need to be careful on the descents as its so rural there are often sheep and cows on the road. We then climbed 550m Alto de Agin which marks the border into France. It's incredibly quiet up here; hardly any cars, cyclists or people. Just you and your thoughts - just the way I like it. The last climb of the day was the iconic Jaizkibel which features so prominently in the Classico San Sebastian one day race. Its an amazing climb; you get onto the ridge and then have stunning views of the coast. A trip to San Sebastian would not be complete without mentioning the food. 10 mins off the bike you can have had a shower, and be drinking a beer with a huge selection of Pintxos (Basque version of tapas) to choose from. There is a vast choice and you simply help yourself; eating produce that has come from the sea or the hills you have ridden through that day. For more formal food there are a myriad of good restaurants; there is a culture here that Haute Cuisine should not be exclusive to the rich, and there are many amazing tasting menus for €20. On Day 2 we did the Coast route; which in most areas means a flat day. Not here; we ended up doing 1700m in 98 km ! Our first climb was Monte Igueldo which has epic views of the coast and features a 'Bond Villian' style hotel. On a clear day you can see as far as Biarritz…. We then crested along a ridge where Stage 3 of Pasi Vasco (Tour of Basque Country) was to come later in the day. There are some savagely steep ramps; which we were grinding up in the 28 - and that's where the pros attack. This is where David de la Cruz did his race winning move. Watching him dance up the hill bore no similarity to how I felt there earlier in the day ! We then hugged the coast and passed through Orio, a small whaling harbour which is rumoured was where first fishermen left and found Newfoundland. Further up the coast, at Zarautz we stopped for a coffee. The coast is much more rugged here than the protected bay of San Sebastian, and there were lots of surf schools open and little ones braving the cold. They looked like they were having a blast. Everyone is active here ! The region also boasts world class open rowing; Antton says they take their rowing as seriously as cycling here. The locals must be genetically disposed to big lungs ! Having just come back from an amazing week in Mallorca it felt obvious, yet crude, to compare the two. Mallorca in the sun feels magical. It truly is like Disneyland for cyclists. However the roads (especially the main climbs) can get very busy and the Basque country is miles quieter. There can be sections of 90 mins or so when you don't see another soul on the road. 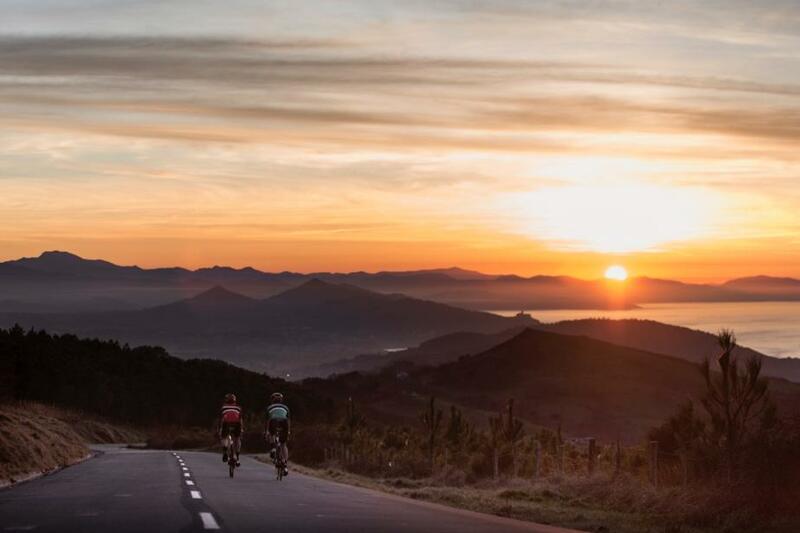 If you had just one day of riding, Mallorca will definitely be the more impressive (for instance there is nothing to compare with the astonishing Sa Collobra). Put it this way, every time I go to Mallorca I call my wife and tell her I need to move Bespoke there. However the more I rode in the Basque region the more it gone under my skin. My wife is from Ireland and I often cycle in the Mourne mountains - which is a stunning area; the coast to your left and the mountains to the right. 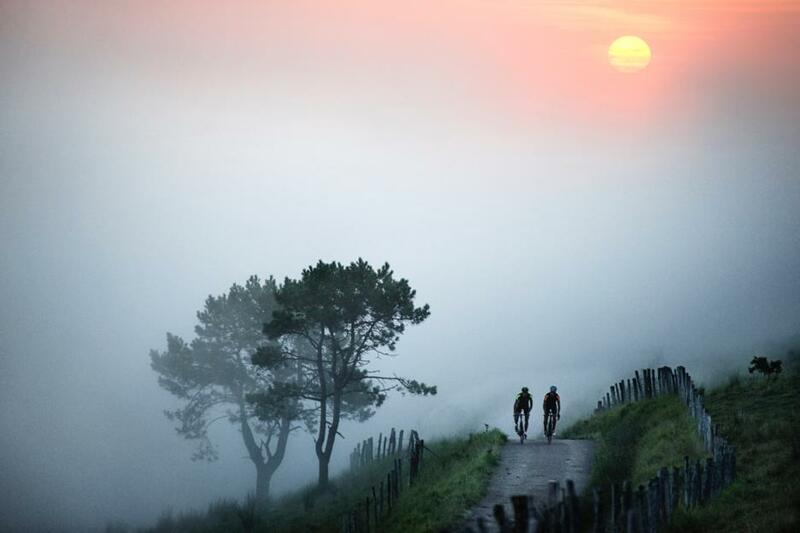 Rugged, hard and honest cycling. The Basque region is the Mourne's if it had a bigger, scarier brother. However the road surface is much better there, and there is very little wind which is surprising given it's bang on the coast. Being at the foothills of the Pyrennees it has that 'wildness' that I love. Its spectacular but also has a bit of menace about it - it's a hard land, for hardy people. When its sunny its glorious, but if the clouds rolls in off the Atlantic it can completely change its character…. 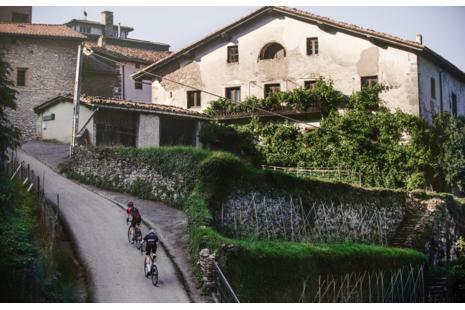 In terms of cycling it's the sort of place that could break some spirits - there are a lot of short steep hills the locals call 'leg breakers'. Riding with someone much better than you would be a nightmare here. Cars (the few that you even see) are so respectful to cyclists - better behaved than anywhere I have ridden. Antton explained that cycling is so integral to the Basque psyche; everyone has a brother, father, friend who races his bike - cycling is part of the landscape. 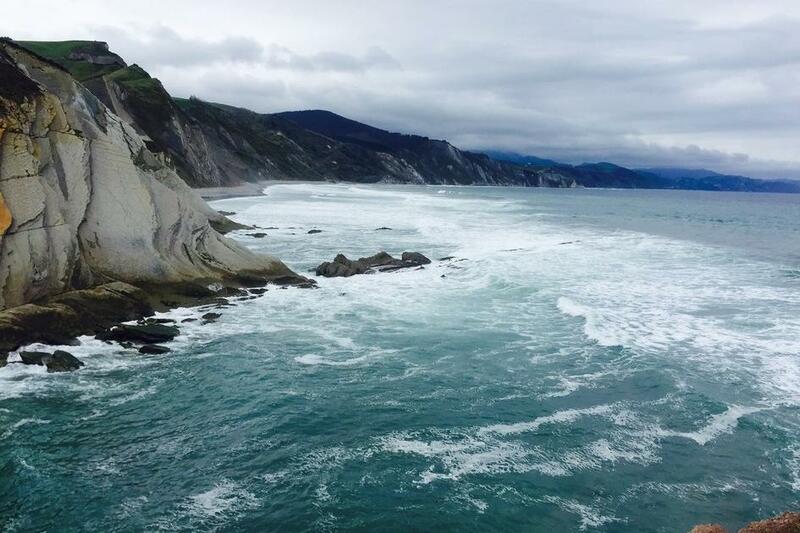 Basque people are so friendly; just a naturally engaging and warm people. They are also fiercely proud of the region, and very keen to show it off to visitors. To answer my initial question: Is this Spain's best cycling region? It may well be. 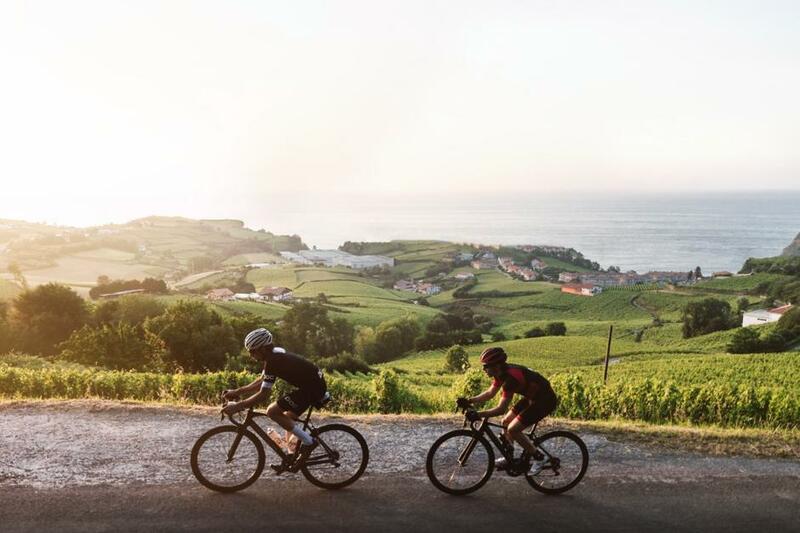 For the variety of amazing routes, the accommodating weather (not too hot, not too cold), the long season, empty roads and the regional passion for cycling, the Basque region is hard to beat. On my return to London the first days back were tough; I felt the pull of the region, its rugged beauty, amazing food and friendly people.